I have a love affair with hexagons. I’ve never seen a pattern that involved them that didn’t set my heart aflutter. 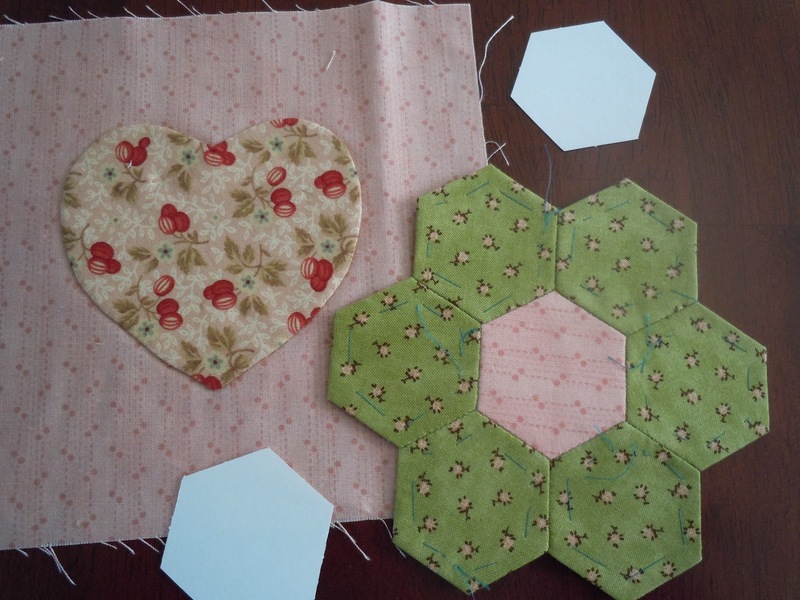 From my “biohazard” quilt to my one block wonders to numerous patterns yet to be pieced … they had me at hello. 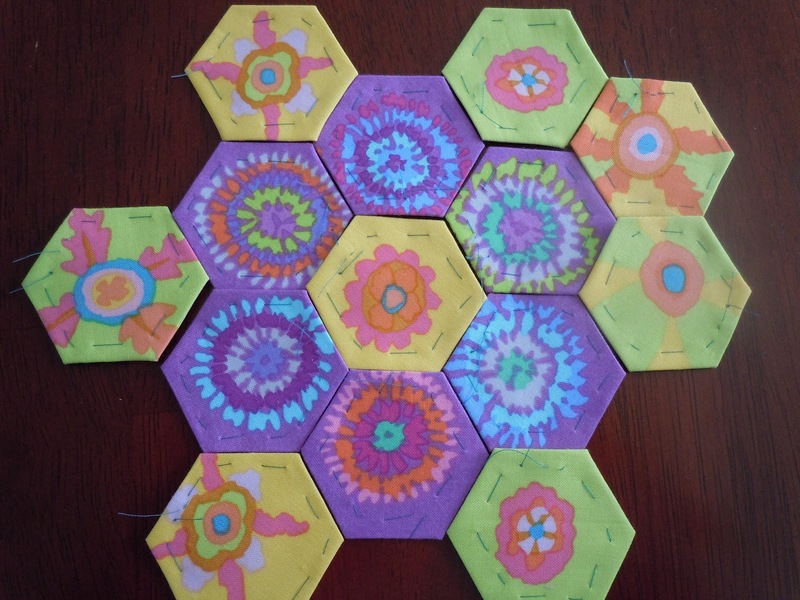 Last weekend I took a workshop on English paper piecing. 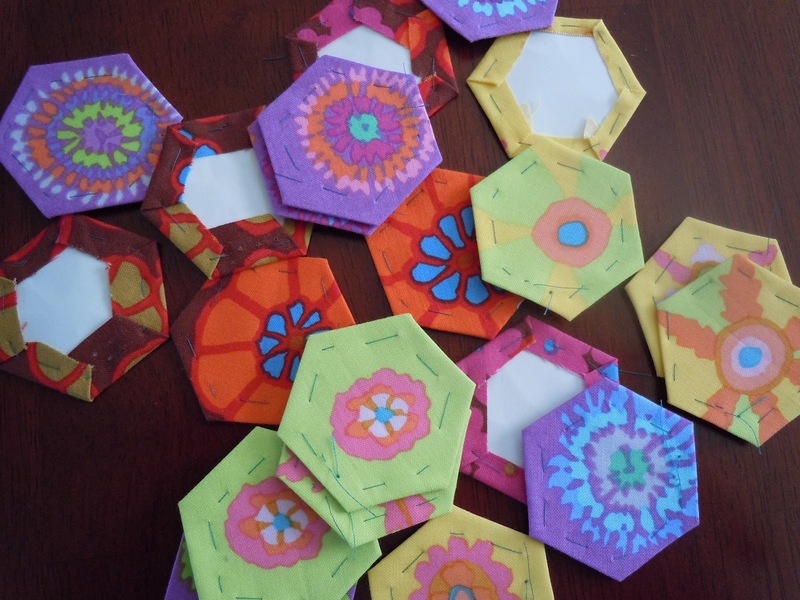 Essentially, you wrap and baste fabric around paper templates (hexagons!) and then whip stitch the shapes together. It’s all hand work. After working quietly for awhile my table mate stated ” I love this.” And in that moment I knew that I did too.